Unleash the power of graphs with a single, integrated tool to create business value faster than ever before. With Structr, you can focus on your business instead of wasting time and money on complex IT problems. In our physical world, everything is connected in one way or the other. Time to create solutions that value connections. There are a couple of reasons why it's great to work with Structr as a developer. Structr is the world's most advanced graph application platform for building powerful software applications in much less time and effort. In addition to the benefits of graph technology itself, Structr provides unprecedented speed and flexibility in application development. Changes take effect immediately without costly compilation or deployment. The secret is that the entire definition of the application is managed in a graph database, allowing markup and content to be rendered in real-time directly from the graph. 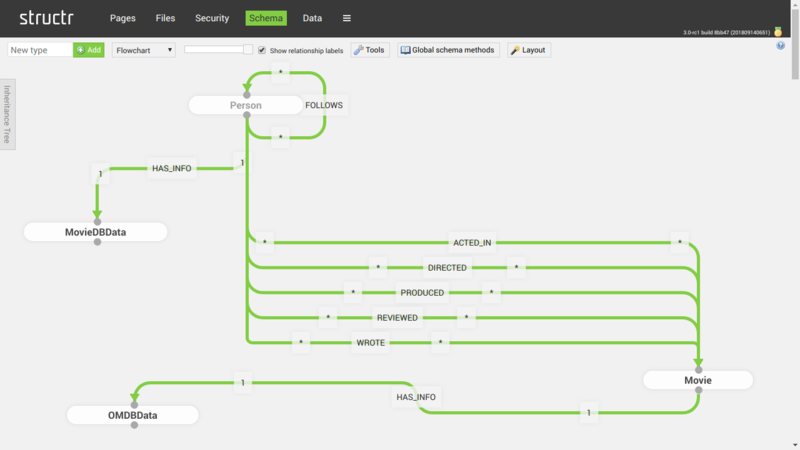 Want to see Structr in action? Request a demo! To stay competitive, minimize risks and improve the efficiency of a business, it's essential to digitalize processes, leverage existing information efficiently and connect systems and data silos. As an expert and power user, you know how your company works and how everything is related. And you have the experience to define requirements for software applications. As a software developer, you transform business requirements into tools for your users. This is a highly creative but also difficult and error-prone process that often fails. 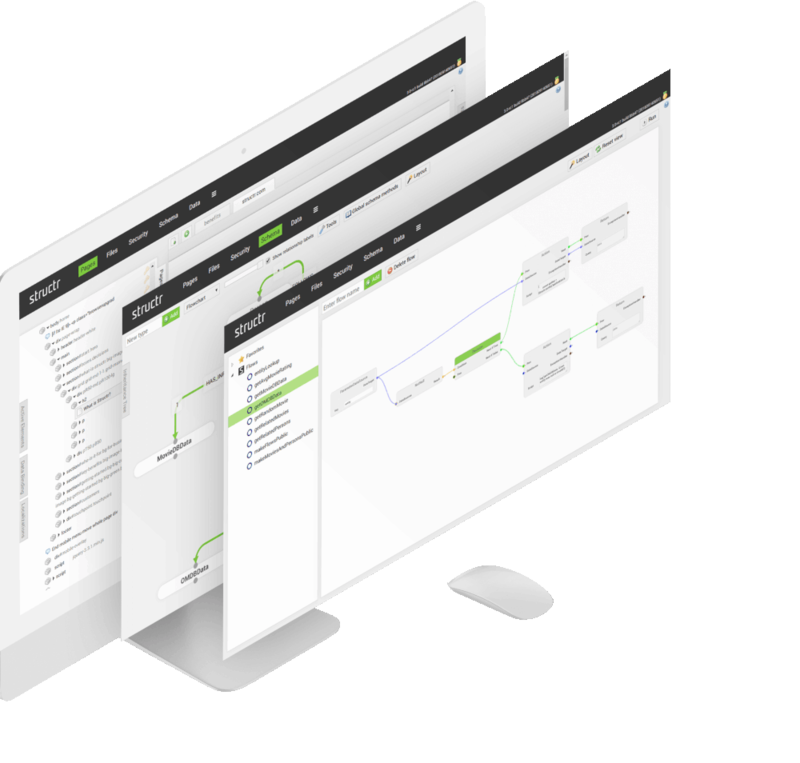 Structr combines graph technology with a smart set of tools in a single, integrated software. The best data persistence technology available for fastest queries on complex, connected and semantically enrichted data. Download a single file, install and start Structr on your machine or a server, then use a web browser to create and run your web application. No compilation or deployment required, get test feedback immediately while building sophisticated web and mobile applications. Use Structr as a REST/GraphQL backend to create micro services or use the full power of the platform with the backend UI. Find the right edition with the set of features that fit your needs. All commercial editions come with support directly from the core developers of Structr. Read more about Structr, its benefits and features. Download the comprehensive PDF document with the most important information about Structr, its benefits and features in a compact format. A list of selected customers is also included as well as some customer testimonials. Do you need help? Please contact us! Do you want to know more? Request a demo! Already a customer? Please contact our support.